Buying a house is a big life step (unless you’re some type of rich person with seven houses) and house buying can be pretty stressful and confusing. 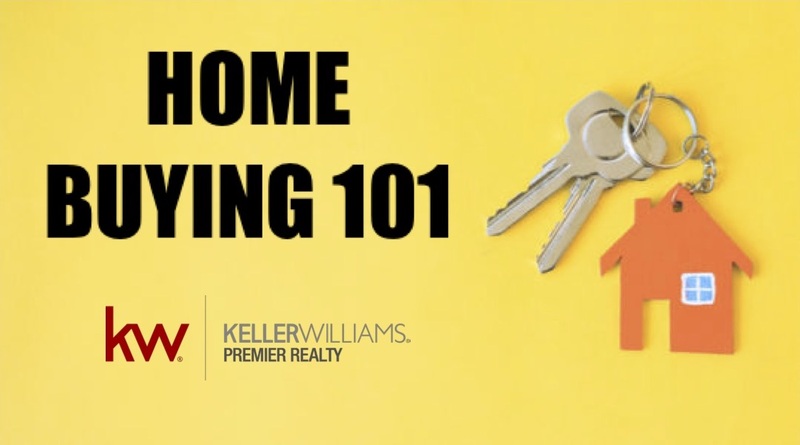 We want to try to make the home buying process as painless as possible by answering some questions you may already have or may have at any point during this amazing stepping stone! 1. Working with an agent. First and foremost, you do not need to have a real estate agent. HOWEVER, and I’m not just saying this because I’m an agent, working with an agent is the smartest and safest way to buy a home! Agents help take the stress away from you by finding homes that meet your criteria, negotiating offers, making sure that all inspection time frames are met, and so so much more. Agents even have access to homes that are coming soon to the market, and it’s their job to set up showings for you, get detailed info about any homes you’re interested in, and make sure there are no underlying issues with any homes or paperwork. Real Estate agents are trained on contract documents so that you as the buyer are fully protected from any issues that can sometimes arise during the process, such as loss of funding, home inspection issues, title issues, and more! Why is that important? When you make an offer on a home, almost all seller agents require an earnest money deposit of $500-$1000 before they will even consider your offer. If your contract falls through and those documents weren’t done by someone that understands those forms, you could lose your “EMD” and it would then belong to the sellers instead of going back to you. No one likes the thought of giving away that much money. 2. You choose your agent. Just because a home that you’re interested in is advertised by another agent, that does not mean that you have to work with that agent. Choose an agent that is available to your needs, make sure their fees are acceptable to your budget, and meet with them to discuss your criteria and make sure that you are both on the same page. 3. Phone vs. Office. “Most millennials these days do everything on their phone or computer which makes the buying process an additional type of stressful to them because it requires them to meet with their agent and/or lender in person”… these are my millennial assistant’s words… not mine. But she has a point, which is why my team and I try to accomodate any and all buyers. Whether you are out of state, have a job that makes it hard to schedule around, or if you just want to limit the amount of times you have to come to our office, we can get almost all documents signed via our online Dotloop system. That means we send you docs and our system walks you through each and every place that you need to fill out, initial, and sign. You can sign offer docs in as little as 10 minutes, and all on your phone! But we also understand that some buyers are not tech savvy, don’t have access to computers, or simply just like going over things in person in which case we are also able to accommodate those buyers as well! 4. Fees & Commissions. If you’re buying a home, you probably don’t want to spend any more money than you really have to, and I’m sure many buyers stress over the costs of working with an agent. Agents are paid a commission from the sale (this amount is decided by the listing agent) and that commission is paid by the sellers. That’s right. Buyers don’t pay that commission amount. The only fee that buyers typically pay to their agent is an admin fee ranging from $195-$495, depending on the agent. That is just a very small price to pay to make sure that you don’t have to do any additional work aside from saying yes to your home! 5. Get Pre-Qualified!!! This should be your very first step. If you don’t know any lenders, reach out to your agent for lender referrals. Why is this step so important? Well I’m going to be honest. Agents won’t look at you as a serious buyer if you have not talked to a lender and started the Pre-Qualification process. Most agents won’t even show you any houses until you have a pre-qual letter from a lender. Agents don’t want to waste their time but we also don’t want to get your hopes up before we even know if you can buy a home. This process also helps us narrow down your price range so you don’t buy a home that you won’t be able to afford in the long run. 6. Lenders vs. Agents. If you’ve never purchased a home before, you may not know the difference between an agent and a lender. Your agent and lender are two very big factors in two very different ways. Your agent specializes in home showings, contract documents, inspections, and finding you a suitable home for you that will give you the best value from your money. Your lender specializes in the loan approval process so that you can receive the funds necessary (if you don’t have a few hundred thousand dollars in cash sitting around). Lenders are also amazing at finding loan programs, grant money, and more so that you can receive additional money at closing. Your lender will be able to tell you what loan program is right for you and make sure that you’re aware of all of your finances so that you don’t take a loan for more money than what you are able to comfortably pay. Lenders and Agents are very important and both bring very different aspects to the table but they work together every step of the way to make sure their buyer, YOU, find the affordable home of your dreams. 7. Buyers choose the title company. No matter what your agent says, no matter what your lender says, no matter what the seller says… THE BUYER CHOOSES THE TITLE COMPANY. This is important because you want to choose a title company with the lowest fees that still provides super quality service. Once your favorite home goes under contract, you should feel confident with the service and price during the final stages of the home buying process. Your agent can refer a title company to you if you would like to know who they frequently use and trust, but ultimately that is your choice so don’t let anyone bully you into making a decision that you don’t want to make. 8. Title Search & Title Ins. Once you find the perfect home and you go under contract, your contract is sent to the title company that you chose. Title companies are incredibly important because they conduct a “Title Search” which dives into the last 60 years of records of the properties history. This makes sure that when the title is switched to your name at closing, the title is transferred “free and clear”. This means that you don’t acquire any fees, liens, judgments or any other issues that belong to any of the prior owners. Anything that comes up during their search is either researched and cleared or paid by the seller at closing. This is also why we 100% recommend that you purchase Owner’s Title Insurance at settlement because, even though our title companies do an amazing job and we haven’t had any issues so far, we are all only human and it’s better to be safe than sorry. 9. Inspections. When you are submitting your offer on a property, your agent will ask you what inspections you would like completed before settlement. All agents should recommend that you conduct any any all inspections (structural, radon, well/septic or water/sewer, pest, chimney, etc.) but whichever inspections you choose to do are completely your choice. Some loans do require that you conduct a home inspection and pest inspection but your lender will let you know this when you apply for loans. Most inspections require that you pay at the time of inspection however some inspections allow you to pay at closing, so make sure to ask your agent if that is an option with whoever conducts your inspections or be prepared to pay upfront for any selected inspections. 10. Under Contract. There are so many things that go on behind the scenes once your offer is accepted and you are officially “under contract”. It may seem at times like nothing is happening or your agent doesn’t have any new updates for you but that doesn’t mean that wheels aren’t in motion. Inspections, title searches, lender approval, appraisals, paperwork. There is always something going on so just be patient and don’t stress yourself out while you wait for closing day. 11. Foreclosure, REO & Short Sale homes. If you’re interested in a home that is in foreclosure, REO or short sale process, you can still make an offer on the home! But what’s the difference? Foreclosure homes are still under owner’s possession but the owner has stopped paying their loan. This means that the bank gave them a specific date to pay their loan or else the bank would then take possession of the home. If a foreclosure home goes under contract, it must close before the foreclosure date that was set by the court. Your agent will be able to get that date. If a foreclosure home hasn’t settled before that date, the home then becomes an REO (bank owned property). This means that your seller is now the bank and all offers and docs must be approved by the bank. Short Sale means that the home is being sold by the seller for less than what is owed on the loan. This does NOT mean that the buying/selling process is shorter. Actually, it is the exact opposite. The seller’s bank must approve all offers and typically the buying process is much longer. This can be ideal for a buyer that is in no hurry to buy in the normal 40 day timeframe which gives the buyer ample time to save money while waiting for approval from the bank. There are usually more documents involved with these types of properties but you’re agent can help you with any doc or questions you have! 12. Home Warranty. A Home Warranty is another purchase add on that can either be paid by the seller or buyer depending on how the contract is written or negotiated. Much like title insurance, it is not required but definitely recommended. This will protect buyers AFTER settlement. Sometimes things just break and if your luck is exceptionally bad, all home issues will wait until the minute the home is in your name before they rear their ugly head. Home Warranties will save you money when appliances break, if large costly fixes such as pools and hot tubs arise, or major systems such as ac and heat fail. It’s a no brainer purchase that will help you go into the home owning world with ease. Your agent can help you choose a Home Warranty Company and figure out what plan and add ons will save you the most money in the long run. Home buying is such an amazing experience and while I hope I answered a lot of your questions and concerns, I know that there is just so much more that I haven’t even covered. My goal is that you read this and feel confident enough to go out and apply for a loan to begin your home buying process, even if you don’t choose me as your agent. When buying a home remember to ask your agent any and every question that you have. Don’t sign any documents until you’ve asked every question and you’re 100% comfortable going into the home buying world. If we didn’t cover something that you do have questions about let us know! Direct message us on Facebook. Email us at billkenny@kw.com. Call us at 301-745-4450 x255. Ask us for our Buyer’s Packet for additional tips and knowledge! We would love the feedback on what you think about this blog and what else you would love to learn about!